After a 4h 45m flight from Vienna to Madeira, we arrived at the Aeroporto da Madeira. In 2017 they changed the name to Cristiano Ronaldo International Airport, which sounds far more appropriate. 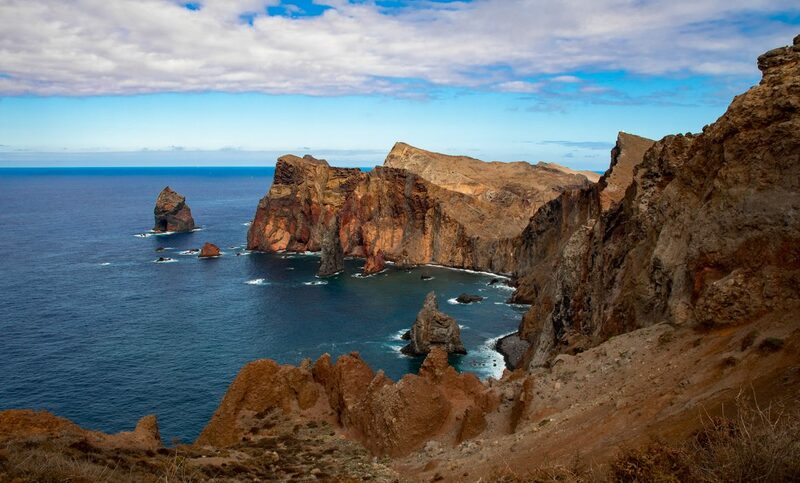 The approach to Madeira is quite spectacular. 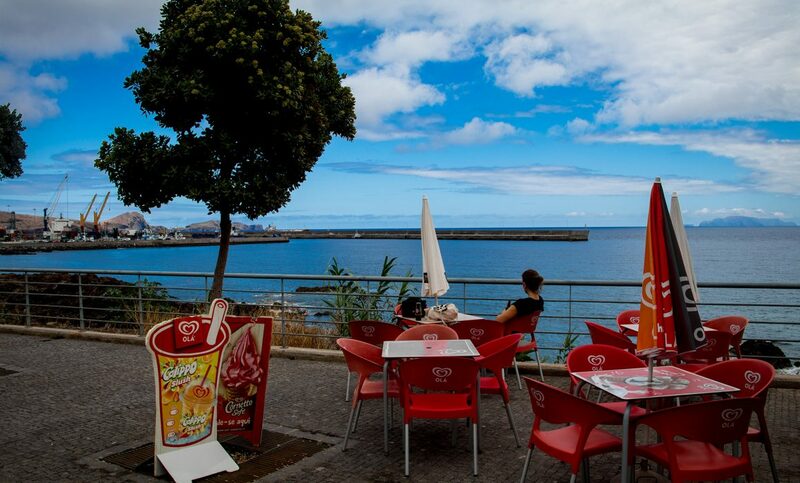 Airlines wishing to fly into Funchal require special approval from the Portuguese aviation authority. The runway is surrounded by high mountains on one side and the Atlantic Ocean on the other. 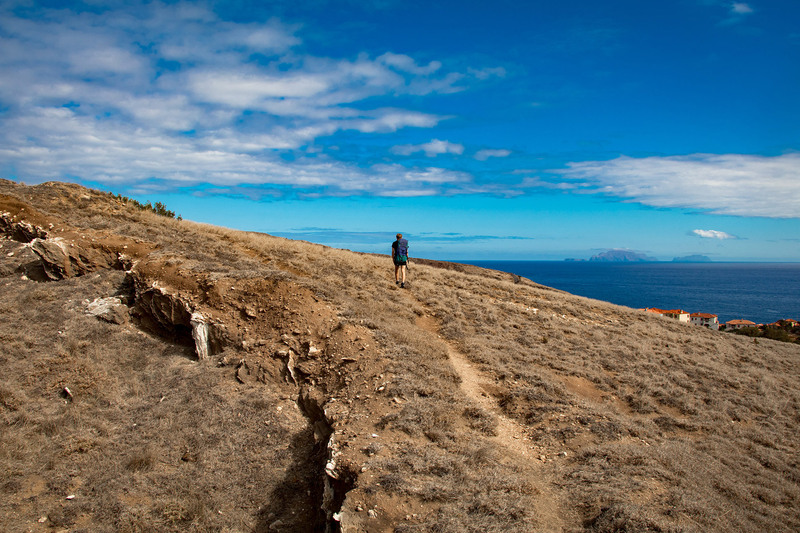 The last 400 m of the 2000 m long runway are partly built over the ocean. 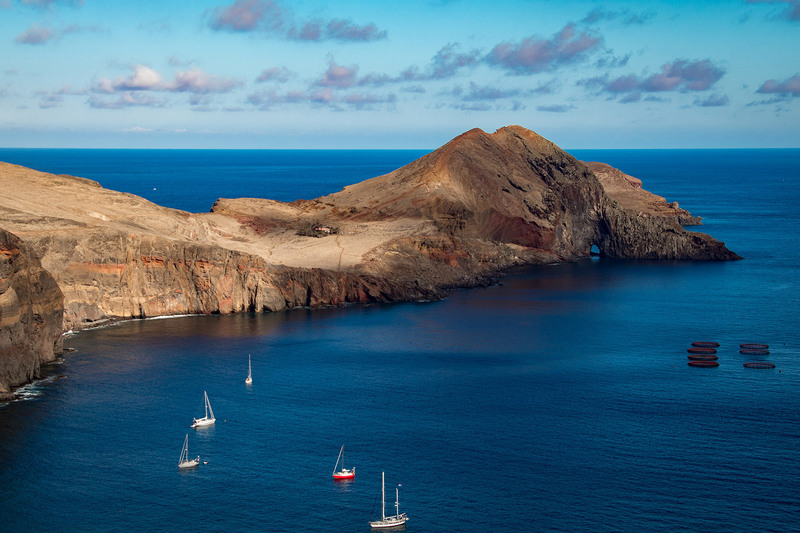 Nevertheless, it is one of the most scenic airport approaches in the world. The arrival procedures are done quickly, and we headed towards the bus station to catch our bus to Caniçal. The bus schedule can be checked online https://www.madeira-island.com/bus_services/sam/113-canical-1.html – and you should check before arrival. After a few cheerful minutes, we started to realize that the bus won’t arrive for another 2 hours. So we took a taxi to Caniçal, which cost about 20 €. The scenery is breathtaking. The south coast of the 57 km long island has a lush vegetation. We already could see what was ahead of us: steep climbs and no shadow at all, at least for the first days of our hiking adventure. 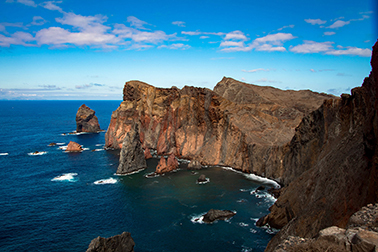 Madeira is an island of quite recent volcanic origin, which explains the particularly complex topography. 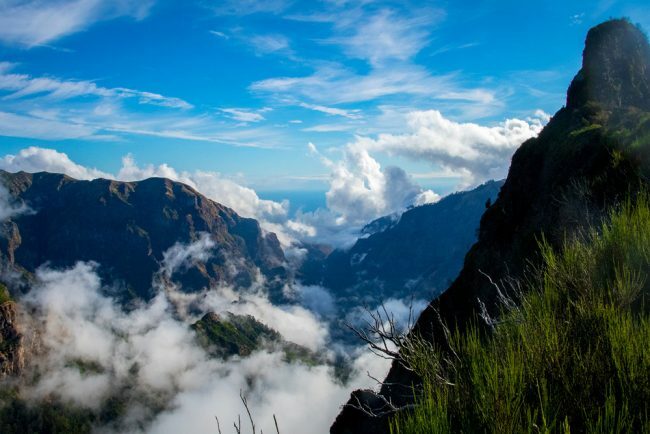 The mild climate all year round, combined with many activities offered for all ages, make Madeira an ideal holiday destination in every period of the year. Passing through beautiful villages, we reached our destination for the night: Caniçal. A small fisher village and once the center of the local whaling industry up until 1982. It even has a small whale museum – which unfortunately was closed during our visit. 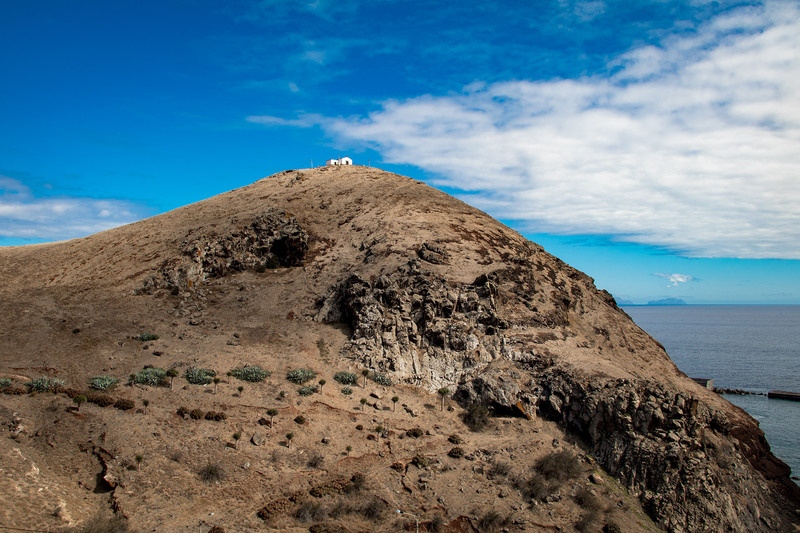 We followed the trail to Sao Lourenço Point, the most eastern point of Madeira island, named after the caravel sailed by João Gonçalves de Zarco, one of the three discoverers of Madeira island. We didn’t finish the 2h 30m walk to the tip because we had to try out our new toy: The DJI Phantom 4. We both were super nervous to fly the drone and every time super happy when it landed safely next to us. Especially over the open water, it was a terrifying experience. On our way back we got a few more beers and the supplies for the upcoming days at a local supermarket. We enjoyed the mild summer evening on our balcony. For dinner, we ended up at the Muralha’s Bar, a cheap authentic restaurant in the center of Caniçal. Best coincidence! 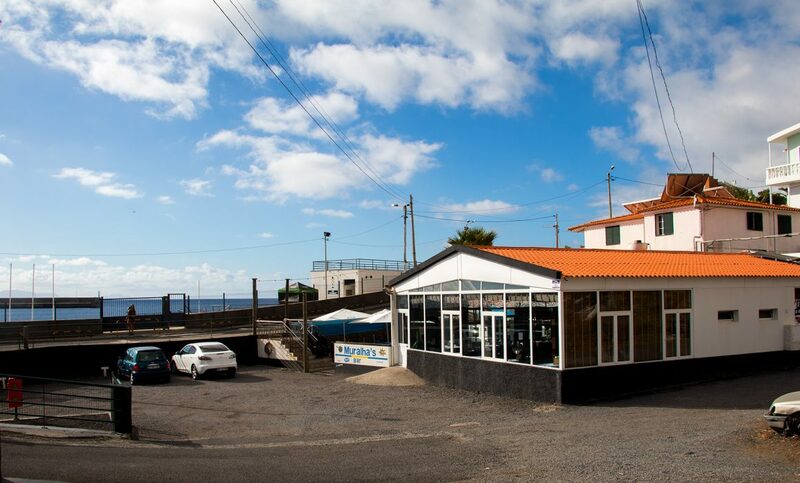 The seafood was incredible, and it is worth a stop if you are on Madeira (4 main menus and four beers for 30 Euros). Hi there ! 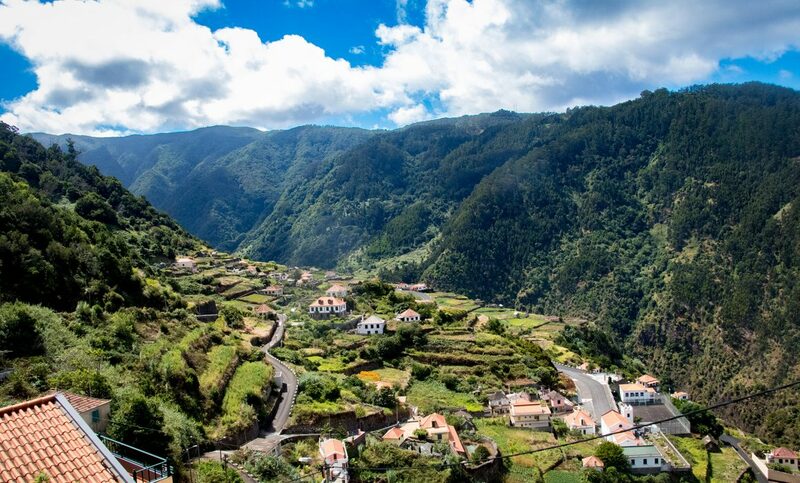 Great trek through Madeira ! What time of the year did you do it ? We did the trek during September. It was the perfect time to walk, not too hot and not too crowded. The track looks great! Do you have some kind of map? I would like to walk it as well! 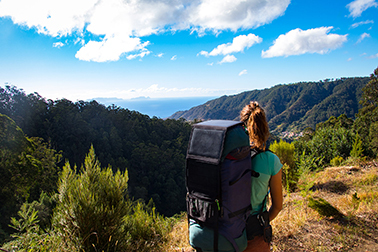 at the top of each day is a small button where you can download our GPX treks 🙂 You can import them into google earth or any other GPS app on your smartphone. Hi there! How did you go from Caniçal to Sao Lourenço? Is there any way for pedestrians ? Yes, there is a way it is pretty easy to find. But you can also download the GPX info on our website. You will find the button under the height profile under each day.